Looking to Dispose of Bulk Waste? The City’s contracted waste hauler does not provide bulk waste pickup. 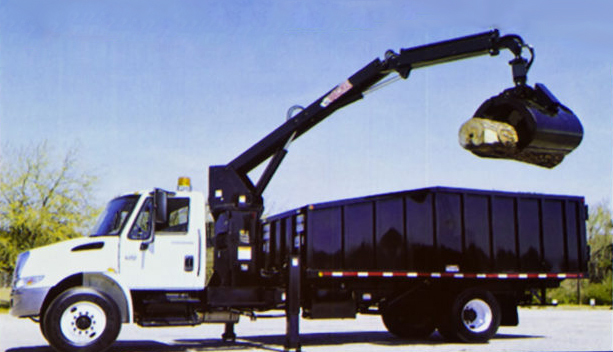 The City of Lakeland purchased a knuckleboom loader (boom truck) to provide bulk waste pickup for its residents...available once weekly. The boom truck will collect such items as furniture and large limbs, not exceeding 10 cubic yards (See photo BELOW for size reference), and appliances. This service is at NO COST except fees will be assessed for specialty items such as appliances and waste that EXCEEDS ten cubic yards. There is a $5 per cubic yard fee over the 10 cubic yard limit and a $25 fee for appliances (no markup on the $25 fee…this is the cost charged to the City). These fees will be collected prior to service. Please stack yard waste materials separately from other goods to be chipped and recycled for other uses. Bulk items shall be placed in front of the residence separate from standard household waste collection receptacles and away from any obstructions including mailboxes, fire hydrants, utility poles, trees, etc. Items shall NOT be placed in the gutter or over any type of stormwater inlet. Waste shall be placed in separate piles per type: yard waste (trees/leaves/grass), metals, and construction debris/miscellaneous. Trees and limbs shall be no larger than 8' long and 24'" diameter. Limbs must be in neatly stacked piles. Contractor-related tree cutting/construction debris shall be removed and disposed of by the contractor, privately. The City of Lakeland will not collect waste generated from a contracted service. Appliances containing refrigerants shall be decommissioned prior to collection. 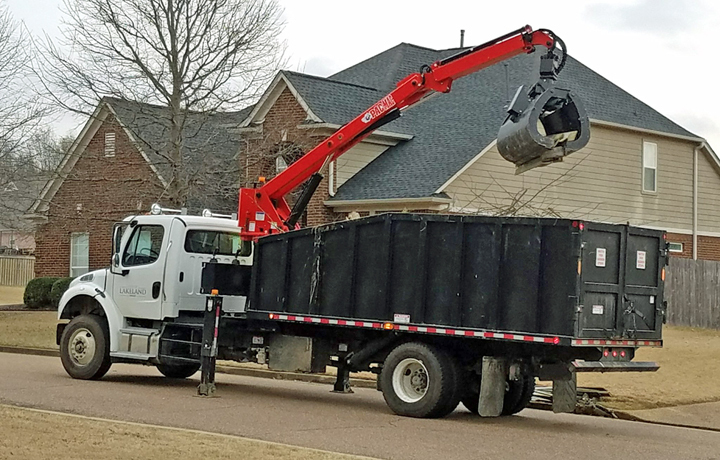 The City will not collect dirt, shingles, large amounts of concrete/brick, or hazardous materials (gasoline, paints, solvents, cleaners, pesticides, chlorine, batteries, e-waste, etc.). Hazardous waste may be disposed of at the Shelby County Household Hazardous Waste Facility located at 6305 Haley Road (901-222-7729). The City of Lakeland also collects limbs and yard waste as part of regular trash service. Please see details at LakelandTN.gov/trash. Questions? Please contact Rhonda Fink, Community Services Representative, at 901-867-5409 or via email. Looking for information regarding Community Clean-Up Days? See LakelandTN.gov/cleanup. This page can be accessed via www.LakelandTN.gov/bulk.